Welcome to the index of Women's Health Articles, Books and Videos found on our Alternative Medicine Knowledge Center. 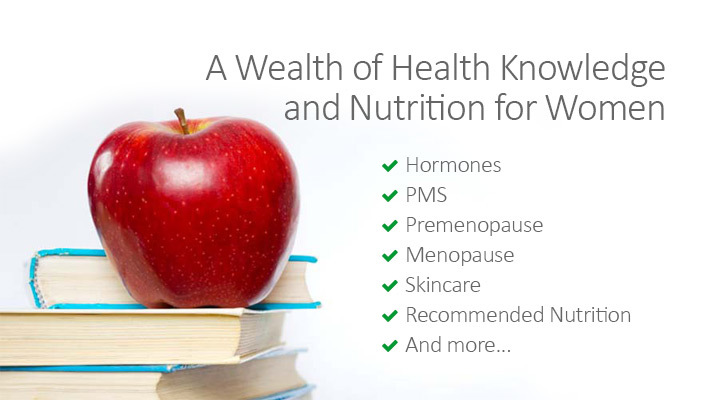 Here you will find information and articles for women on topics such as perimenopause, menopause, hormone balance, natural progesterone and more. FAQ's about bone loss and bone loss analysis. Online videos featuring Dr. John Lee - symptoms of perimenopause/menopause, natural hormone balance, and hormone tests. Exercise's importance during menopause + natural products that may help you deal with menopause symptoms stopping you from being motivated to work out! Hot flashes during perimenopause and menopause and simple ways to address hot flashes with bio-identical hormone balance using natural progesterone and phytoestrogens. Going through menopause may mean you need to change your lifestyle, how you eat, sleep and exercise! Mood swings and simple ways to address them with bio-identical hormone balance using natural progesterone and phytoestrogens. Night sweats causes, unusual ways women deal with night sweats and how hormone balance and progesterone may help. FSH & LH levels and what they mean to you, the symptoms of menopause and the stages of menopause. Your body during menopause, if you can still get pregnant, & why progesterone creams are more effective than pills. Safe treatments that address the complex health issues of menopause. When "ineffective" means effective. Why natural progesterone cream is more effective than pills. The difference between using natural progesterone and taking pills. Natural progesterone is identical to the progesterone made in the human body - bio-identical and the process to create it. Phytoestrogens and how they can help you create hormone balance. Menopause Matters #1 - Did You Know? Do you know these facts about entering menopause?